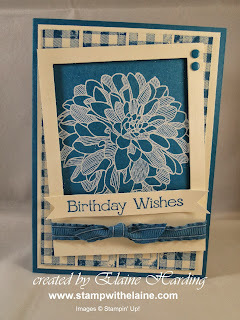 Stamps used are Regarding Dahlias, Four you, Sketched Birthday and the Gingham Wheel. 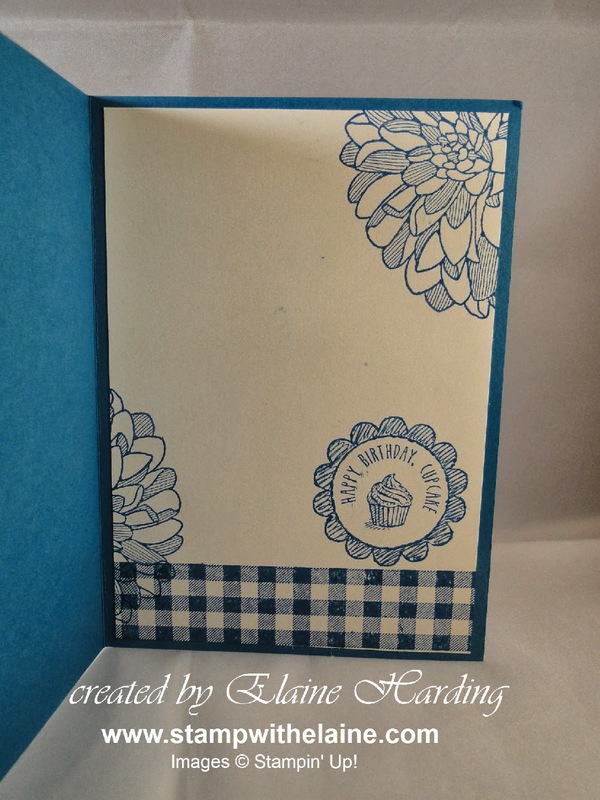 Cardstock was Island Indigo and Very Vanilla. I made my own DSP by using the Gingham Wheel. 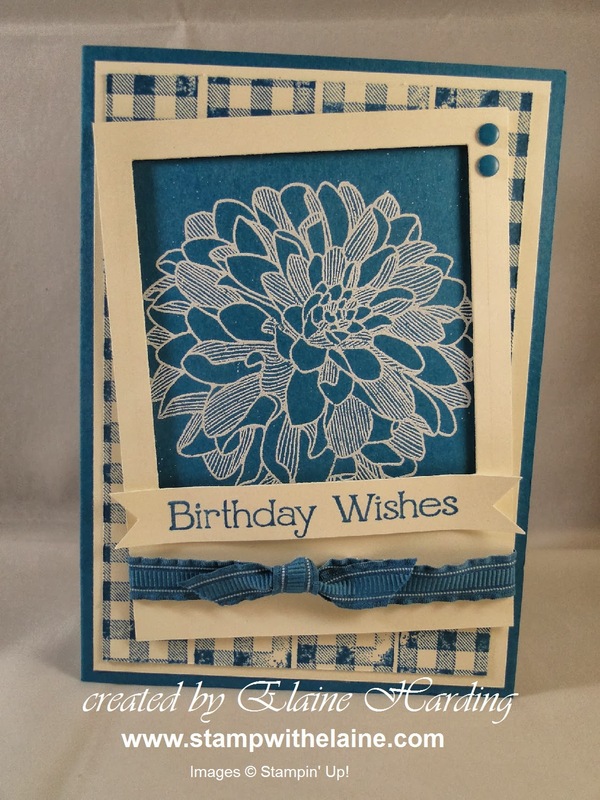 The Dahlia was stamped in versamark and white embossed then adhered to "polaroid" frame (all the rage now) and attached with dimensionals skewiff as shown. 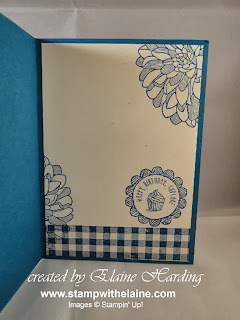 I stamped "Birthday Wishes" from Four You and made a banner then tied Island Indigo ruffled ribbon round the polaroid frame (ruffle ribbon is retired, but I just love it too much to discard it or give it away). Candy dots were added in top right of polaroid frame. Here's the inside - I used the cupcake image from Sketched Birthday.